On April 18, 1506, the foundation stone of the new St. Peter’s Basilica in Rome took place under the guidance of Pope Julius II. A succession of popes and architects followed in the next 120 years, their combined efforts resulting in the present building. Today, St. Peter’s is the most renowned work of Renaissance architecture and remains one of the largest churches in the world. 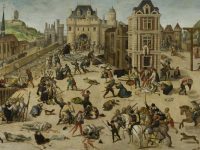 It is believed by a long tradition that St. Peter, after a ministry of about thirty years, traveled to Rome and met his martyrdom there in the year 64 AD during the reign of the Roman Emperor Nero. St. Peter’s martyrdom took place near an ancient Egyptian obelisk in the Circus of Nero. The obelisk now stands in Saint Peter’s Square and is revered as a “witness” to Peter’s death. It is one of several ancient Obelisks of Rome. According to tradition, Peter’s remains were buried just outside the Circus and was initially marked simply by a red rock, symbolic of his name (Petrus in greek denotes ‘rock’). Almost three hundred years later under the reign of emperor Constantine the Great, Old St. Peter’s Basilica was constructed over this site. It was of typical basilical Latin Cross form with an apsidal end at the chancel, a wide nave and two aisles on either side. By the end of the 15th century, having been neglected during the period of the Avignon Papacy, the old basilica was in bad repair. 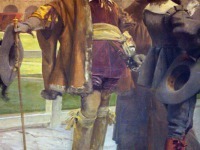 The first repair and enlargement intervention was ordered in the middle of the 15th century by Pope Niccolo V, who entrusted Leon Battista Alberti and his helper Bernardo Rossellino. It was Pope Julius II, who is responsible for the construction of the new St. Peter’s Basilica. In 1505 Julius made a decision to demolish the ancient basilica and replace it with a monumental structure to house his enormous tomb. A competition was held, and a number of the designs have survived at the Uffizi Gallery in Florence. A succession of popes and architects followed in the next 120 years, their combined efforts resulting in the present building. And what he had planned was gigantic. It’s the world’s largest Basilica of Christianity, nested into the heart of the Vatican city, with its 186 metres of length, a height of 46 metres in the central aisle, a main dome 136 metre high and 42 metres large in diameter. The huge façade is 114 metres wide and 47 metres high. It has a surface of 22,000 square metres and more than twenty thousand persons may attend the prayers. At the time of the death of both pope Julius II. and architect Donato Bramante only the central pillars had been constructed. The famous renaissance artist Raphael took over the guidance of the works, and proposed a Latin cross plan instead of the previously planned Greek cross. 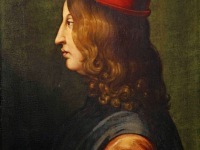 Raphael was succeeded by Baldassarre Peruzzi first and Michelangelo later, who instead chose a return to the Greek cross. After the death of all contenders, pope Paul V imposed the Latin cross structure, which was realized by Maderno, who took care as well of the façade as we see it today. 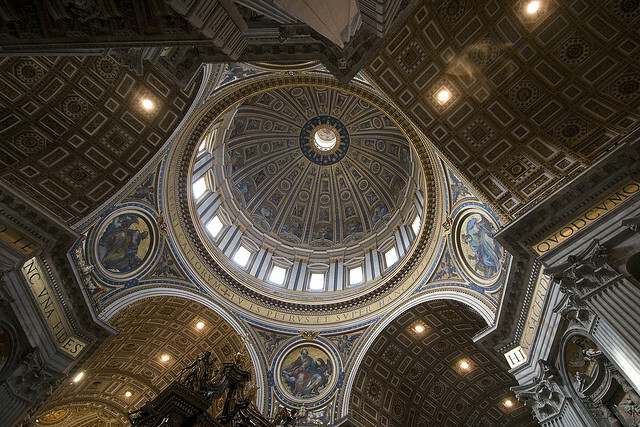 The plan of the St. Peter’s belongs to Michelangelo, who managed to finish only the portion of the dome basement. Giacomo Della Porta completed the dome according to Michelangelo’s drawings in 1588-89. The positioning of most of the interior furnishing of the Basilica was assigned to Gian Lorenzo Bernini, who worked in the St Peter’s Basilica for twenty years. He also arranged St Peter’s square in front of the Basilica in 1656-1667. St. Peter’s Basilica comprises forty five altars and eleven chapels, about ten thousand square metres of mosaics, Michelangelo’s Pieta, and the papal canopy by Bernini, only to quote some of the most important pieces. Finally, St. Peter’s Basilica was consecrated in 1626. Today, St. Peter’s Basilica is one of the most frequented places of the world. More than 20,000 visitors per day come to see the most famous church and I can tell you that it is really worth while! What you really shouldn’t miss is ascending to the top of the cupola. At the base of the cupola you can look down on Bernini’s most impressive papal canopy. 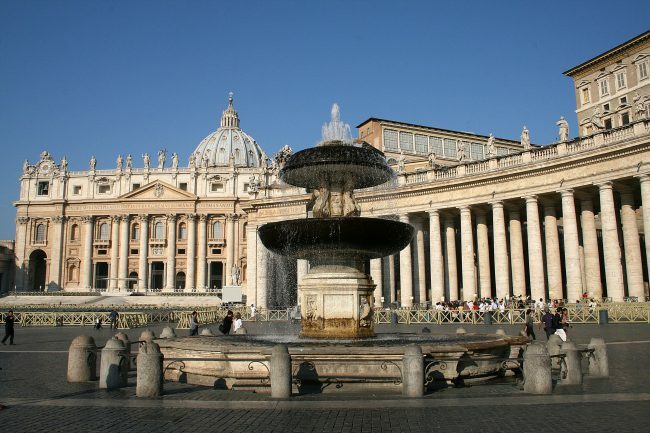 Then you can further climb to the top and have a marvelous look over St. Peter’s square, Vatican city, and Rome. 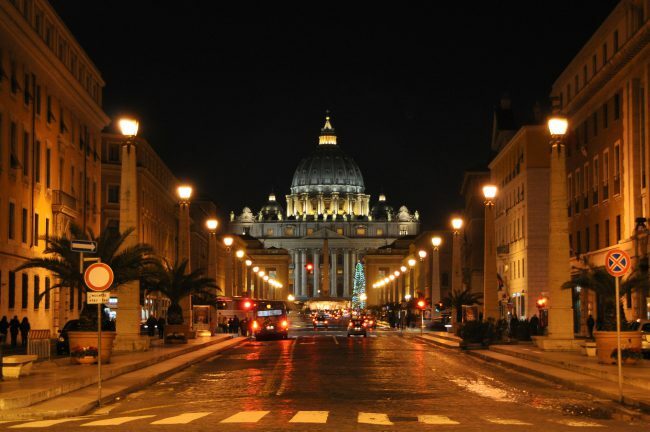 St. Peter’s Basilica at night from Via della Conciliazione in Rome. 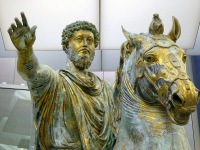 At yovisto academic video search you may enjoy Dr. Beth Harris from the Khan Academy in a conversation about Gian Lorenzo Bernini’s work on the Chair of Saint Peter in St. Peter’s Basilica.